Another from Bloomsbury’s Object Lessons series to follow Sock, which so delighted me. And this book only deepens my feelings about objects, and about this series. Perhaps what I love most about Souvenir–even more than the enormous wealth of history, theory, and cultural trappings Potts has researched and illuminated for me–is its meta-ness, the fact that it’s about objects functioning wholly as objects, as ciphers or representatives of more. This little book has inspired me immensely. Potts, a travel writer, brings his own souvenirs and their stories to this study. 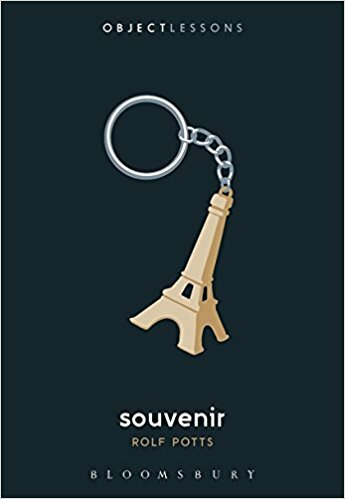 He begins by defining ‘souvenir’ for the book’s purposes: “objects that are collected for personal reasons during the course of a journey.” Academic researchers, he writes, have split souvenirs into five categories. “Piece-of-the-rock” items are physical fragments of the travel destination or experience itself: rocks, sticks, flowers; ticket stubs and emptied bottles that were purchased full. “Local products” are just that; and these first two categories pre-date a tourism industry creating them purpose-made. 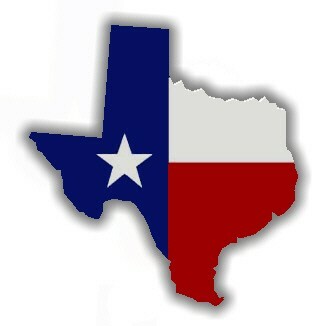 Next, “pictorial images” (postcards, posters); “markers” (“which includes T-shirts, coffee mugs, and other products branded to the location”); and “symbolic shorthand,” which refers to recognizable images: the Eiffel Tower, Seattle’s Space Needle, the Astrodome. Potts moves through categories and experiences and controversies: for example, soldiers bringing home souvenirs of war (including body parts and stolen antiquities), or the commercialization of disaster (New York’s September 11 Museum did not receive federal funding, and so raised money by selling 9/11-themed umbrellas, key chains, tote bags, and cheese plates). He examines the concept of authenticity, and how we grade it. Is a terra-cotta jug equally authentic when made for a tourist market as when made for carrying water? What if the materials, methods and final product are identical but for intended use? In other words, what and who confers authenticity? He relates tales of villages that put on an act of “primitive” “authenticity” for the tourists (wearing traditional clothing and carrying spears for the photographs), then return to blue jeans and television sets once the tourists have moved on. Which of these more authentic: the appearance that agrees with a Westerner’s preconceived notion, or the way modern African villagers really live? I really appreciated thinking about an object’s transition from souvenir to museum piece, from private and associative meanings to public and interpretive ones, in which (I offer) something is lost and something is gained. And you know I especially enjoyed the concept of Wunderkammern (German, ‘wonder chambers’), small museum-like rooms maintained by individuals. This puts a word to an idea I’ve been writing about, obsessing over, and building for myself over the last semester. I get carried away listing the ideas that sparked my mind. Postcard as “part object, part information.” Attribution of authenticity as a form of cultural appropriation, with all the usual arguments to be made: that culture is nothing but an accumulation of appropriations. Different cultural definitions of what a souvenir is, is about, is for: that the Japanese fulfill established expectations with souvenirs, that they seek not creativity, not “authenticity” in the way that many Westerners define it, but the performance of a formula: green-tea-flavored sweets from Kyoto, apple-flavored pastries from Aomori. My imagination is alive. I can already see that I’m in danger of investing in every book in this series. Like Sock, Souvenir is a mixture of personal essay (Potts’s own travels, his own souvenirs and stories), history, anthropology, and so much more. The object-as-object subject here was especially close to my own heart, although I venture that Potts indulged in a little less poetry and whimsy than Adrian did. At any rate, I’m in love, and hungry for more. I can’t recommend highly enough these tiny little books that open enormous worlds, through everyday things. When I first saw what this is about, I wondered, does my collected rock from a favorite trail count as a souvenir? That was answered immediately, and I am delighted academic ‘experts’ named a whole category after it – ‘Piece-of-the-rock’ items; love it! Even more affirming is the recognition that “in the end it’s about the story…” Both ageless history and modern cognitive science agree, we are a species evolved to respond to & communicate with stories. Whether it is music, physical objects, smells, or words – whatever the cue, the essence is the story that is triggered in our brains. I am voting for the whole series! Sounds like a match! I’m so glad you stopped by! I very much enjoyed Potts’ Vagabonding, and am sure to like this one too.